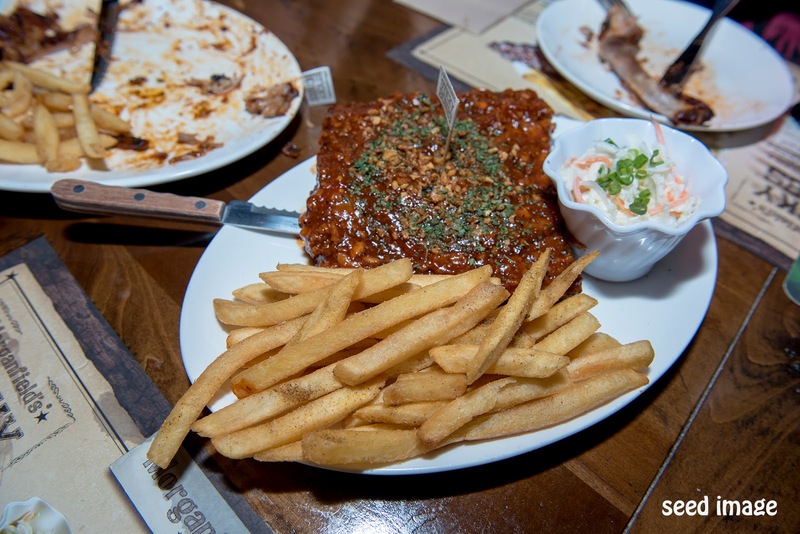 Seed Writes....: Entertainer offer 1 to 1 Complimentary Main Course at the Home of Sticky Bones, Morganfield. Have you tasted ? 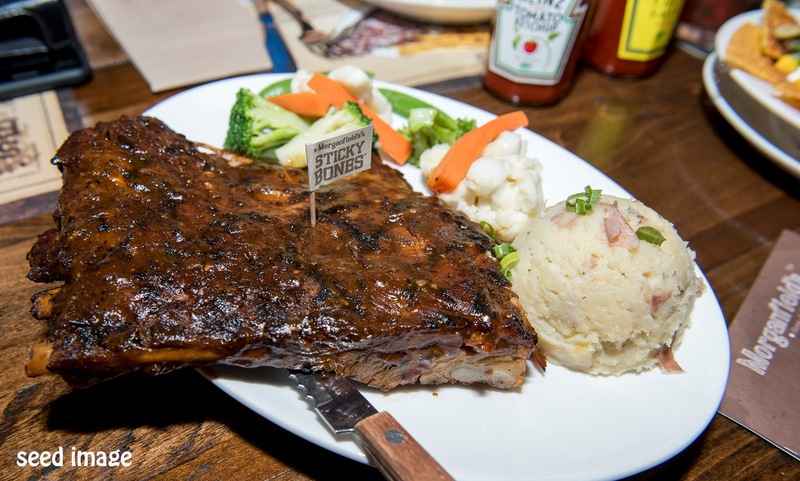 Entertainer offer 1 to 1 Complimentary Main Course at the Home of Sticky Bones, Morganfield. Have you tasted ? BBQ Restaurants have traditionally been popular in USA. Morganfield or also known as Home of Sticky Bones. has the spirit of Southern hospitality with a flavor of new breed of New Yorker restaurants. I was invited by Entertainer for lunch at this popular restaurant. Naturally I was excited when I came to know that we are having BBQ Pork-Ribs which was one of my favorites. Seriously, I have seen so much of the American BBQ ribs in my home TV Travel Channel, the chance of savoring them, was a dream come true. These prime pork ribs are slow-cooked and smoked to mouth-watering perfection which then covered with a sweet and tangy hickory flavored BBQ sauce. Let not waste any more time. Get into to the food review. Who love spicy food ? I do. 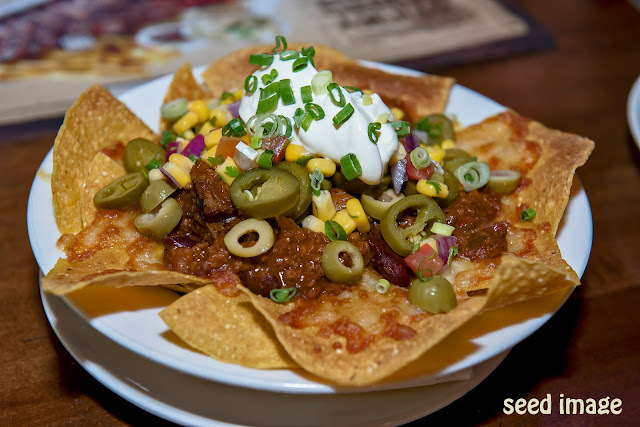 This Chili loaded Nachos make you hot. With a wide variety of toppings which include spring onions, tomato, sour cream all "rojak" onto tortilla chips to wake your senses. Try it if you are there. I remember the last time I had something similar from KFC except it is chicken instead of pork. This Pop Corn Pork tasted much better and tender and together with the dipping sauce, it is an enjoyable dish and if you have a lot of friends sharing it, be quick, otherwise it will be disappear almost instantly. You have been warned ! One may asked. "Why did we come to Morganfield Restaurant ?" As mentioned earlier, it is the home of Sticky Bones. BBQ Pork Ribs in Hickory sauce is the restaurant Signature dish. 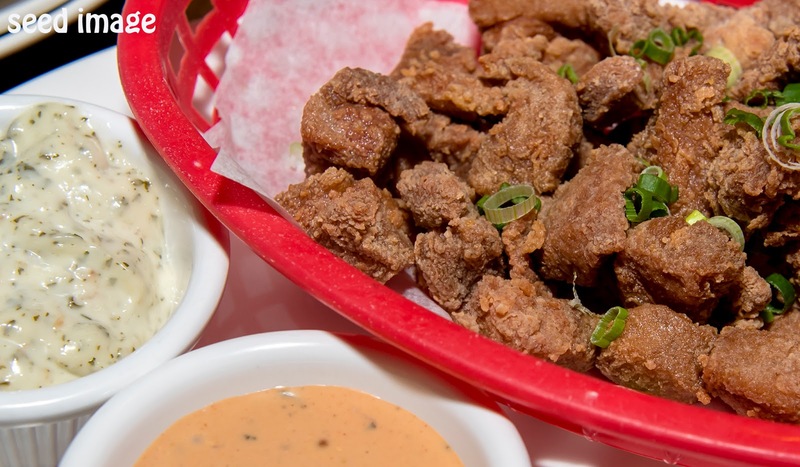 The meat are so tender that they are easily separated from the bones. Slow cooked, with hickory smoke, basted with signature Hickory BBQ sauce, definitely a mouth-watering dish. Great for the meat lovers. In the home of Sticky Bones, fans of black pepper, will love this. Served with Red Skin Mashed Potatoes & Garden Veggies. Truly the home of Sticky Bones. This dish called out to Garlic lovers. The goodness of garlic, tangy, sweet and spicy. Served with French Fries & Coleslaw. Simply delicious. Another flavor of Sticky Bones with Spices. The BBQ ribs are succulent with an Oriental flavor. 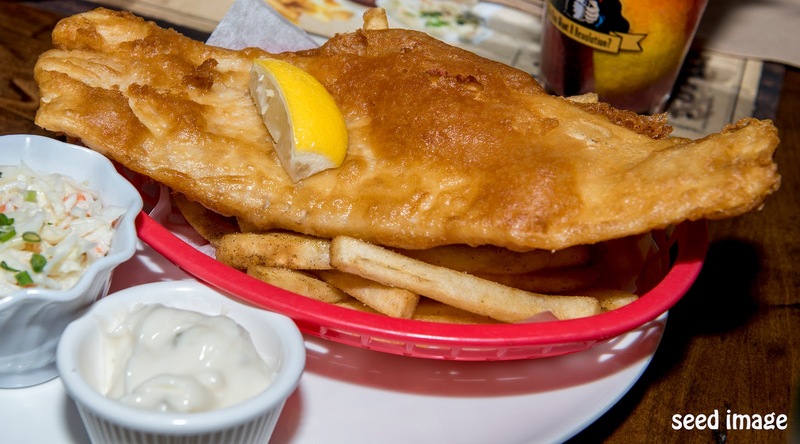 Americans love their famous fish & Chips. 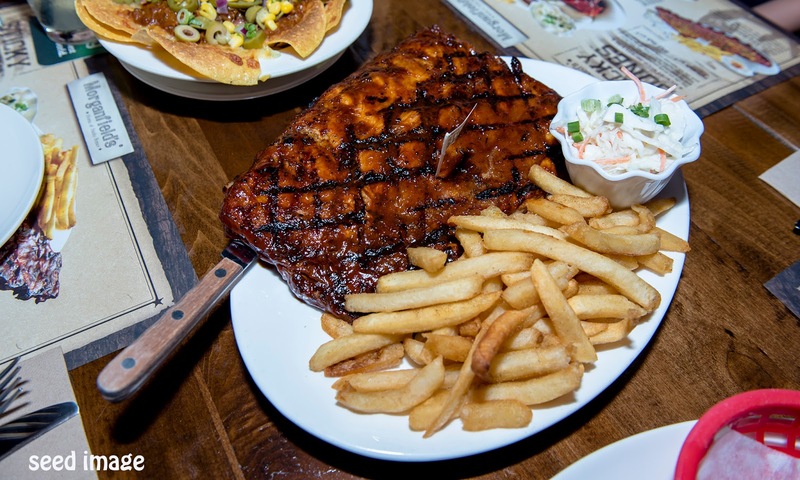 At Morganfield restaurant, this dish carry the American tradition into Singapore. Crispy golden tender brown Hoki fish fillet with Morgainfield's housemade beer batter, topped up Fretnch Fries & Coleslaw. Not too oily. Yummy! An ultimate combination with chunks of delectable crayfish in creamy mac & cheese. Americans too have their own comfort food and this is one of them. 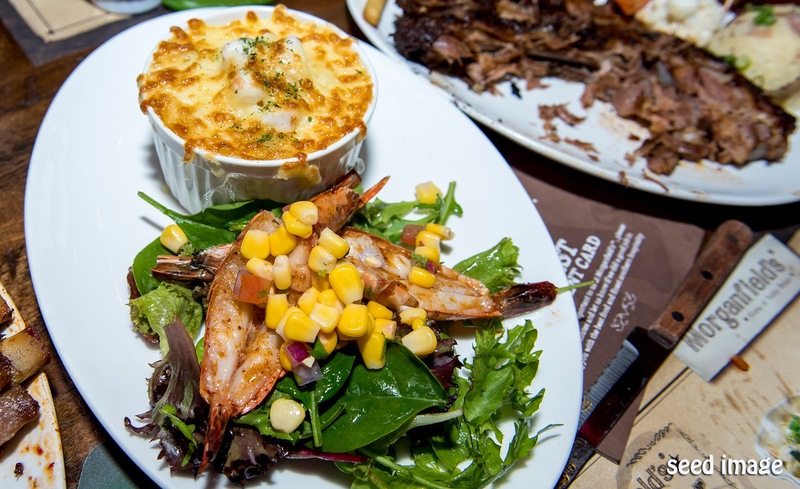 Together with Garden Salad, this dish will provide a balance ingredients for a good hearty meal, giving you the "Wow" factor when you have your first bite. 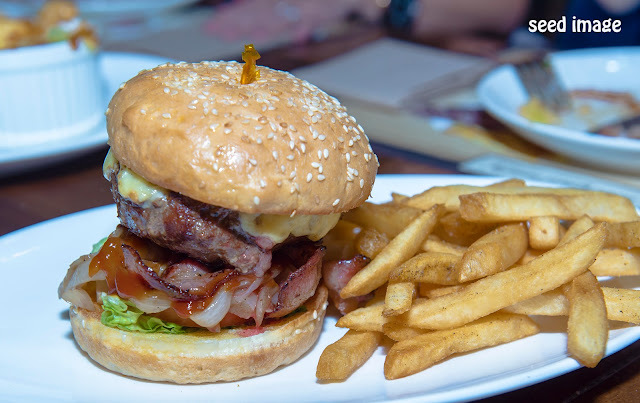 Unbelievably juicy with delicious Hickory BBQ sauce spread across the caramelized onions, lettuce and tender grilled beef patty with added cheddar cheese and crispy pork bacon, makes me a happy and satisfied diner. Most of the burgers are served with a side dish of french fries. The same goes for this burger. 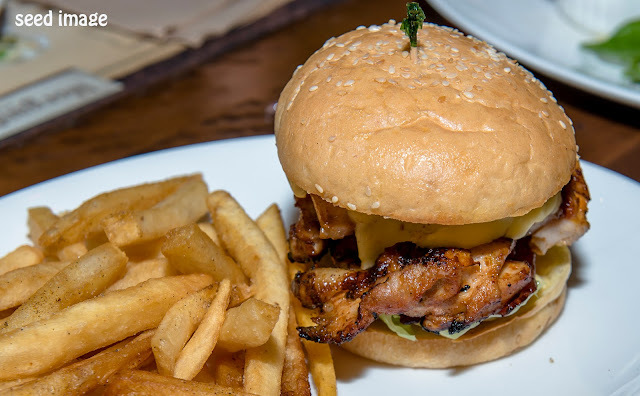 This chicken burger contained char-grilled boneless chicken thigh topped with Honey Mustard, served in a warm, buttered sesame bun together with Bacon, Lettuce and Tomato. Quite an innovative way to name a dish. 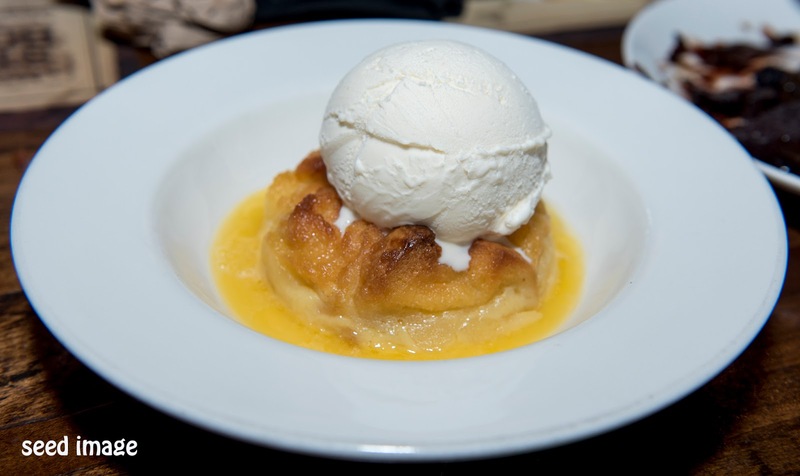 After a heavy meal, a nice dessert will complete the full course of the meal. Chocolate Lava Cake seems to be offered in many restaurants. Well, I am not really a dessert guy. I prefer no cake for dessert but an assorted plate of fruits to complete my meal. 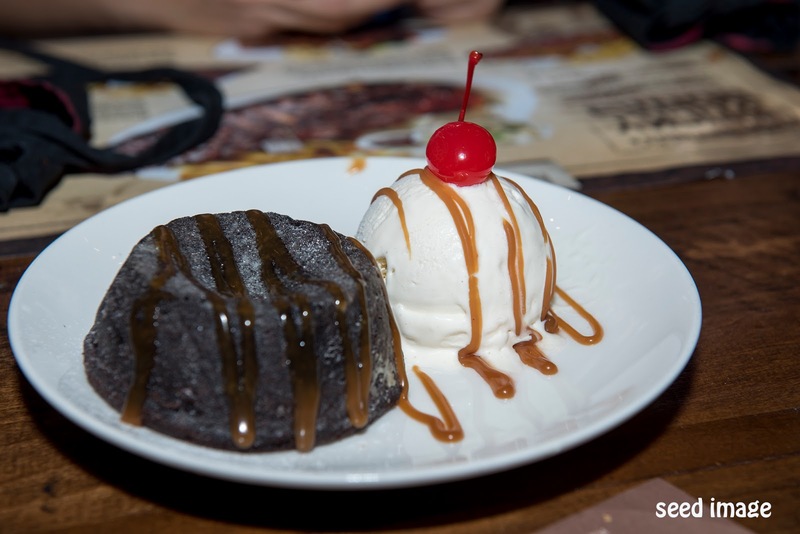 For those who do not like Chocolate Lava Cake, they can try this dessert. Something different. I guessed I prefer this. Scooping the hot and cold together is what makes it interesting. I guessed you know what are they. 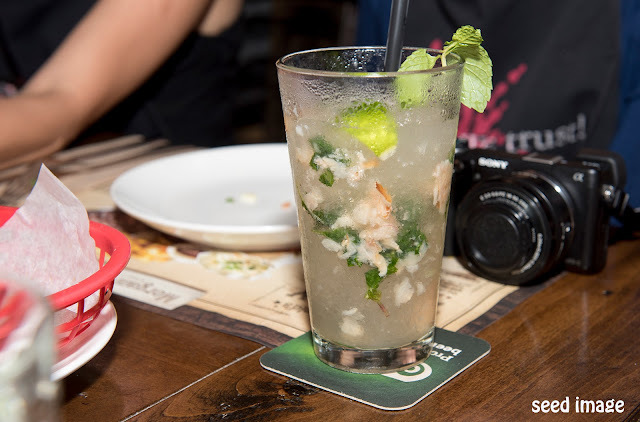 Overall, it is a nice to dine with friends and family at the Suntec City location. Quite a big place. Able to take quite a lot of people. Food is good. You will save if you use your Entertainer apps. Very convenient as it is near to Promenade MRT.